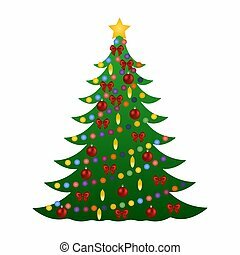 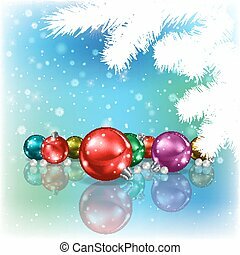 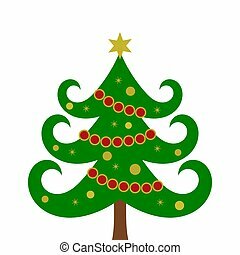 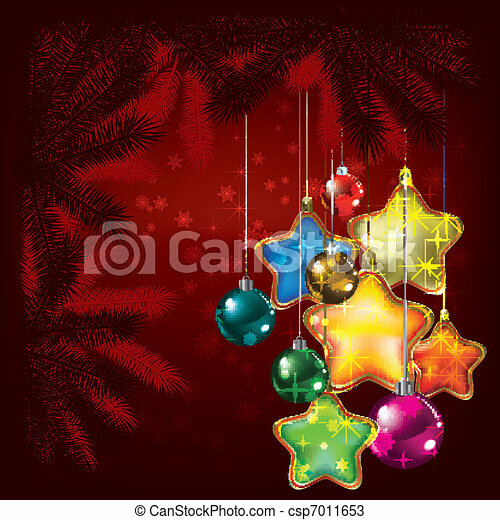 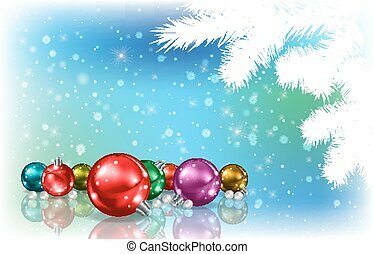 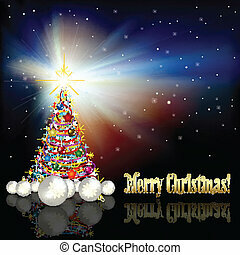 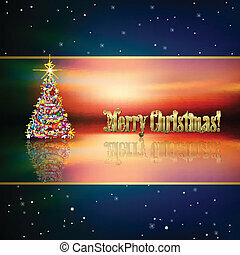 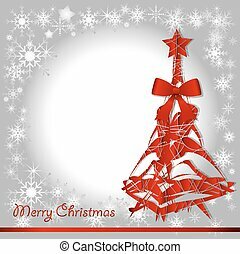 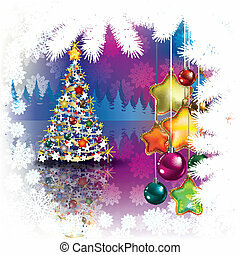 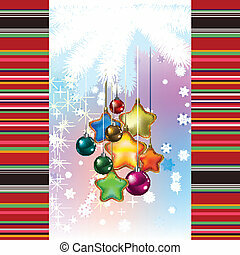 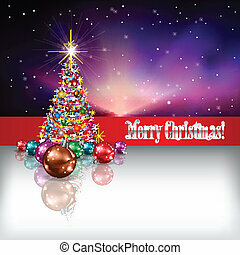 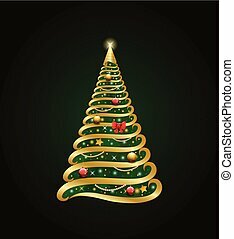 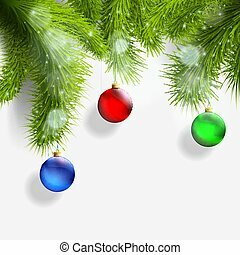 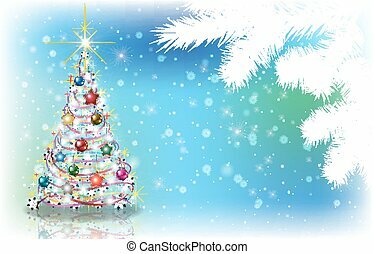 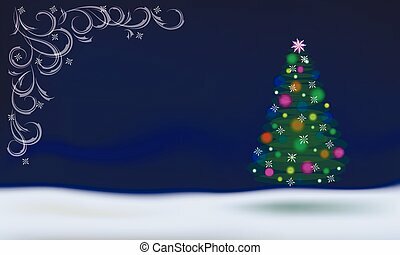 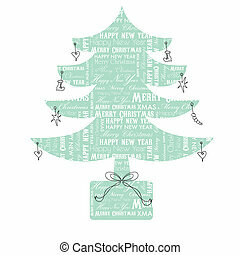 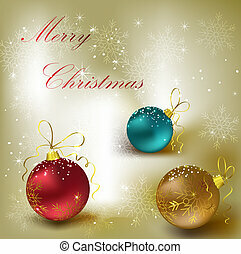 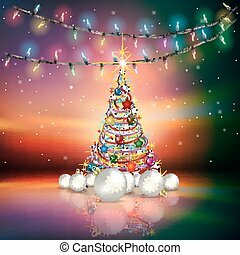 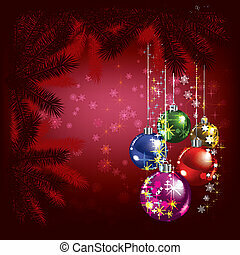 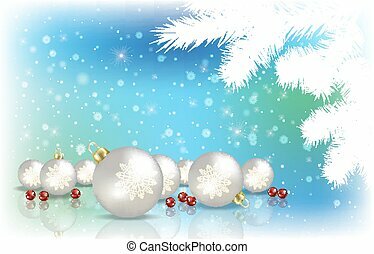 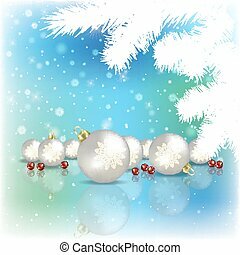 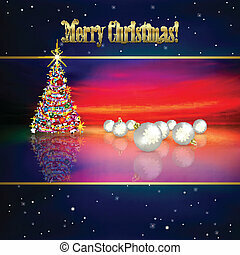 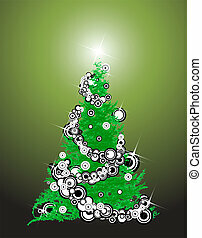 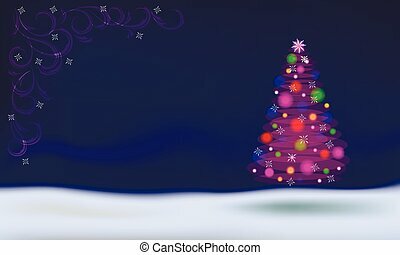 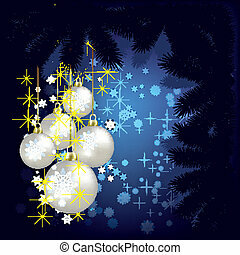 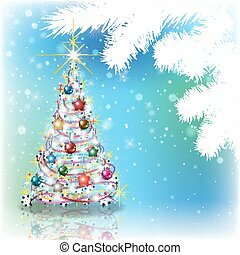 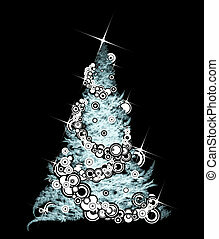 Abstract christmas background with tree and decorations on red. 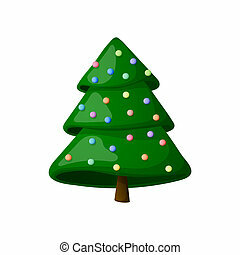 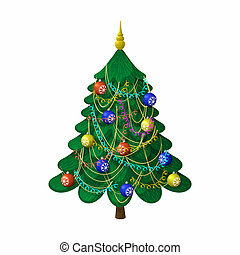 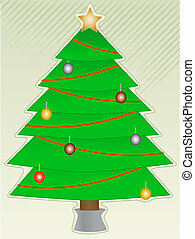 Christmas tree with decorations. 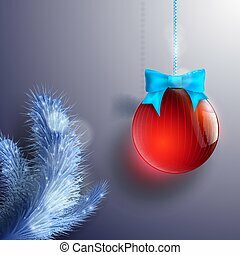 On a white background, cartoon, vector illustration.